The Church that God Builds is a six-part series as part of of Aspen Park’s transition plan. The Transition Team is structured as a group of six smaller teams, each focused on a particular topic. Each team is working to compile goals and action plans for the church in one area. 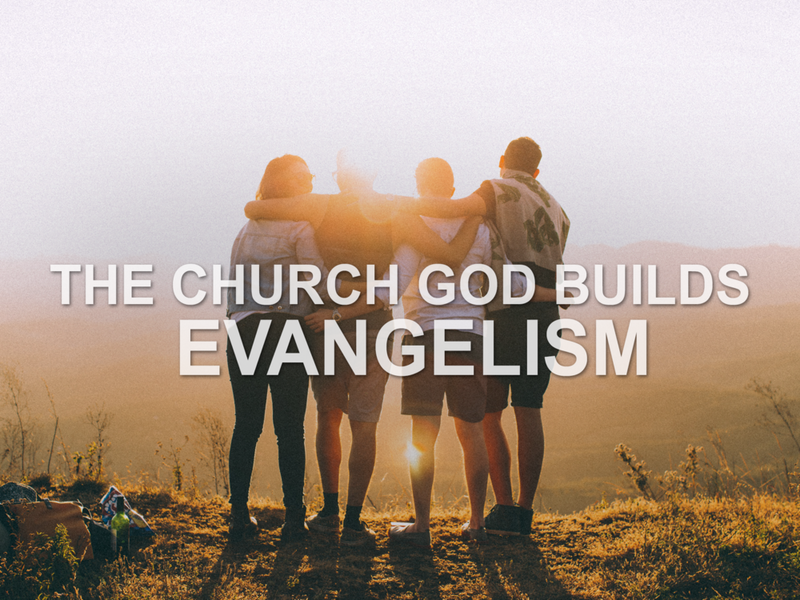 This week, the sermon has a focus on Evangelism. We all have our own story to tell. Some of us may have long, complicated stories of how God has saved us, but others, such as those saved as children, might have a much simpler testimony of how they gave their life to Him. Don’t feel like your story isn’t worth telling; God comes to each of us in His own way and wants us to share with others. What is evangelism? Simply put, it is sharing the good news of Jesus Christ. Everyone you know that’s saved is because of someone else’s evangelism. But despite the necessity, many people are nervous or unsure about sharing their testimony with others. In actuality, evangelism isn’t based on a sales pitch, or your ability to speak, or persuade or convince others. Effective evangelism happens when the Spirit of God is you. When you are filled with the Spirit, you feel lead to share the gospel with others. If you share and receive a negative response, don’t feel like it’s a rejection of you as a person. It is directed toward God, and you are only a witness to what God has done in your life. The Holy Spirit will draw this person if it is their time to be saved. Don’t worry about arguing or convincing others. If they have questions, finding out the answers can strengthen your faith, but often your friends, neighbors, family and acquaintances just want to hear your personal story. Learn to listen to the voice of the Spirit as it leads you to someone to share the gospel. We are all called to share the gospel, but what kind of witness will you be?